Because of advances in medical science, your child can be protected against more diseases than ever before. Some diseases that once injured or killed thousands of children are no longer common in the U.S.—primarily due to safe and effective vaccines. Polio was once America’s most feared disease, causing death and paralysis across the country, but today, thanks to vaccination, there are no reports of polio in the U.S. Vaccines are given to children only after a long and careful review by scientists, doctors and health care professionals. Vaccines will involve some discomfort and may cause pain, redness or tenderness at the site of injection, but this is minimal compared to the pain, discomfort and trauma of the diseases these vaccines prevent. Serious side effects following vaccination, such as severe allergic reaction, are very rare. The disease-prevention benefits of getting vaccines are much greater than the possible side effects for almost all children. Children in the U.S. still get vaccine-preventable diseases. 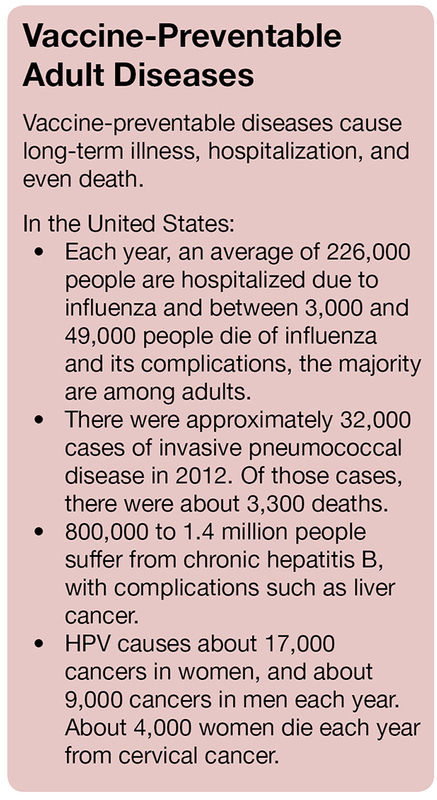 In fact, there has been a resurgence of whooping cough (pertussis) over the past few years. For example, nearly 18,000 cases of whooping cough were reported in the U.S. in 2016. A child with a vaccine-preventable disease can be denied attendance at schools or child care facilities. Some vaccine-preventable diseases can result in prolonged disabilities and can take a financial toll because of lost time at work and medical bills. In contrast, getting vaccinated against these diseases is a good investment and is usually covered by insurance or the Vaccines for Children (VFC) program, which is a federally funded program that provides vaccines at no cost to children from low-income families. Vaccines have reduced and, in some cases, eliminated many diseases that killed or severely disabled people just a few generations ago. For example, smallpox vaccination eradicated that disease worldwide. Your children don’t have to get smallpox shots anymore because the disease no longer exists. The risk of pregnant women becoming infected with rubella (German measles) and infecting their newborns has decreased substantially because most women and girls have been vaccinated, and birth defects associated with that virus are rare in the United States. If we continue vaccinating according to the recommended schedule, parents in the future may be able to trust that some diseases of today will no longer be around to harm their children. 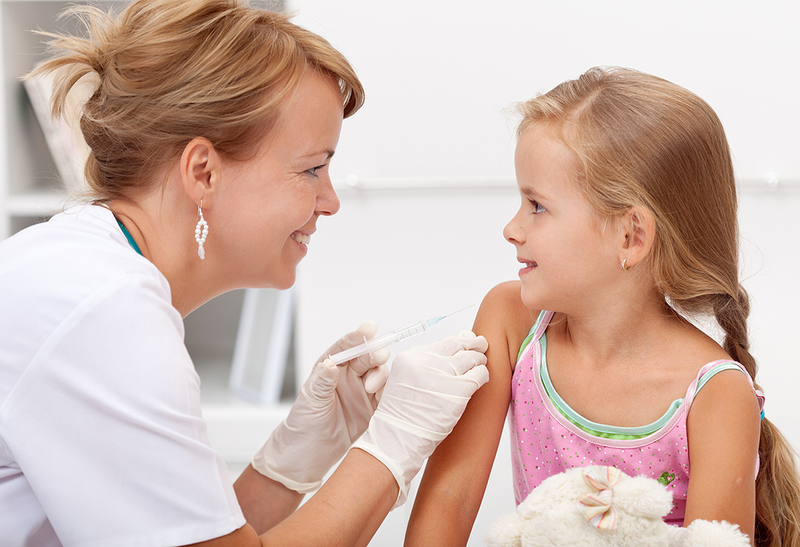 Wellness Wednesday: School Starts Soon—Is Your Child Fully Vaccinated? School-age children, from preschoolers to college students, need vaccines. CDC has online resources and tools to help parents and doctors make sure all kids are up to date on recommended vaccines and protected from serious diseases. Make sure your children are up-to-date on vaccines before sending them back to school. School-age children, from preschoolers, to middle schoolers, to college students, need vaccines. Use CDC’s online resources and tools to check the recommended vaccines for your children. Get your children to the doctor if you discover they need vaccines to protect them against serious diseases. Making sure that children of all ages receive all their vaccinations on time is one of the most important things you can do as a parent to ensure your children’s long-term health—as well as the health of friends, classmates and others in your community. To keep children in schools healthy, your state may require children going to school to be vaccinated against certain diseases, such as pertussis (whooping cough). If you’re unsure of your state’s school requirements, now is the time to check with your child’s doctor, your child’s school, or your health department. That way, you can get your child any vaccines he needs before the back-to-school rush. 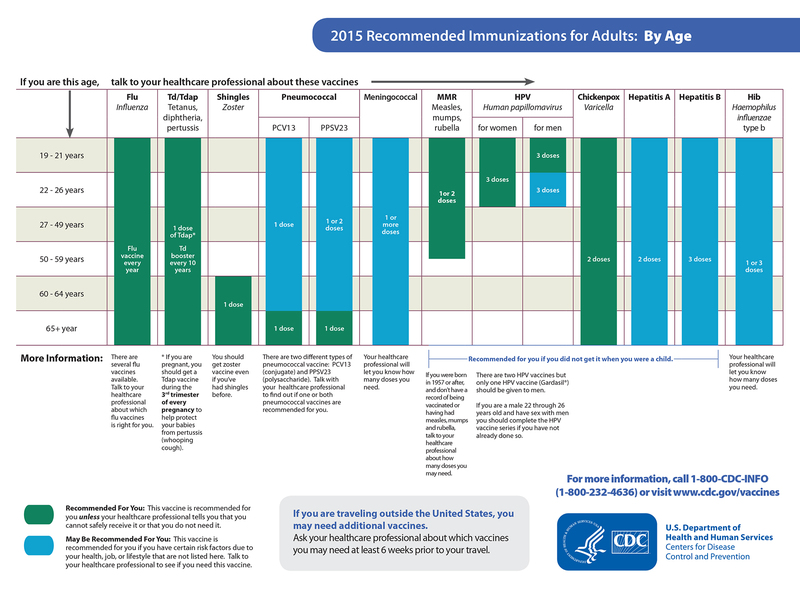 The CDC does not set immunization requirements for schools or child care centers. Instead, each state decides which immunizations are required for your child’s enrollment and attendance at a child care facility or school in that state. Talk to a staff member to learn what vaccines are required at the school or child care facility in which you would like to enroll your child. They will be able to provide you with specific information about their requirements. It’s true that some vaccine-preventable diseases have become very rare thanks to vaccines. However, cases and outbreaks still happen. In 2014, the United States experienced a record number of measles cases. From January 1 to August 1, 2014, there were 593 cases of measles reported in the U.S., with 18 outbreaks of this disease. From January 1 to June 16, 2014, almost 10,000 cases of whooping cough were reported to CDC by 50 states and Washington, D.C. These numbers represent a 24 percent increase compared with the same time period in 2013. Outbreaks of whooping cough at middle and high schools can occur as protection from childhood vaccines fades. Those who are vaccinated against whooping cough but still get the disease are much more likely to have a mild illness compared to those who never received the vaccine. Making sure your children stay up to date with vaccinations is the best way to protect your communities and schools from outbreaks that can cause unnecessary illnesses and deaths. Getting every recommended dose of each vaccine provides children with the best protection possible. During the early years of life, your children need vaccines to protect them from 14 diseases that can be serious, even life-threatening. Parents who choose not to vaccinate their children increase the risk of disease not only for their own children, but also for other children and adults throughout the entire community. For example, vulnerable newborns too young to have received the maximum protection from the recommended doses of vaccines or people with weakened immune systems, such as some people with cancer and transplant recipients, are also at higher risk of disease. Flu vaccines are recommended for kids in preschool and elementary school to help keep them healthy. In fact, all children 6 months and older should get flu vaccines. Getting all of your children vaccinated—as well as other family members and caregivers—can help protect infants younger than 6 months old. 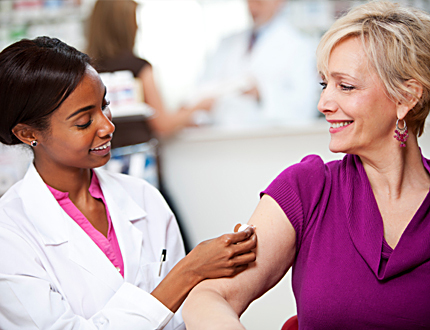 Ask your family’s doctor or nurse about getting flu shots or the nasal spray to protect against flu. 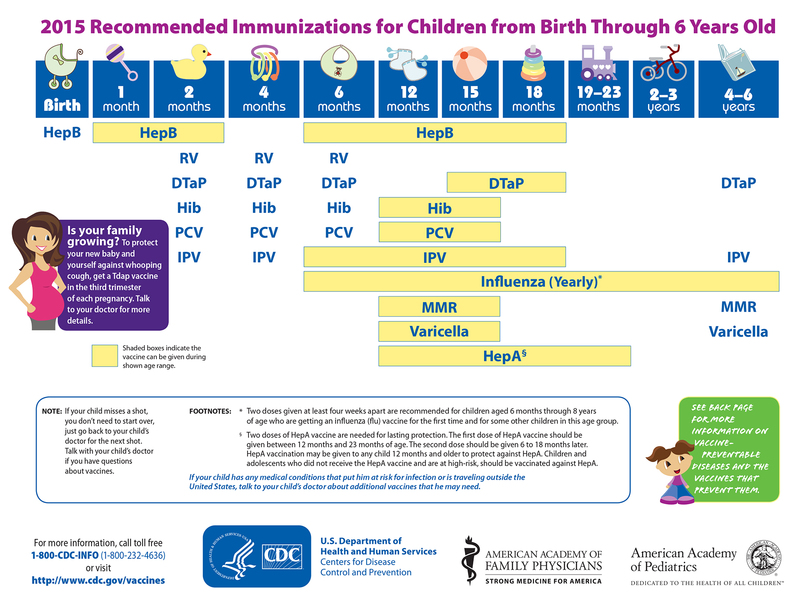 Parents can find out what vaccines their children need and when the doses should be given by reviewing CDC’s recommended Childhood Immunization Schedule. Preteens and teens need vaccines, too! As kids get older, they are still at risk for certain diseases. Before heading back to school, three vaccines are recommend for 11-12 year olds—HPV, Tdap, and meningococcal conjugate vaccine—for continued protection. HPV vaccine is important because it can prevent HPV infections that can cause cancer later in life. For other diseases, like whooping cough, the protection from vaccine doses received in childhood fades over time. That’s why 11–12 year-olds are also recommended to get the booster shot called Tdap to help protect them from whooping cough, tetanus, and diphtheria. Meningococcal conjugate vaccine helps prevent two of the three most common causes of meningococcal disease, which can be very serious—even life-threatening. It’s important to know that flu can be serious, even for healthy, young people. Preteens and teens are no exception. So older kids should get at least one flu vaccine (the shot or nasal spray for healthy kids) every year. To learn more about vaccines for your preteens and teens, talk to your child’s healthcare provider or visit the preteen and teen vaccine pages. 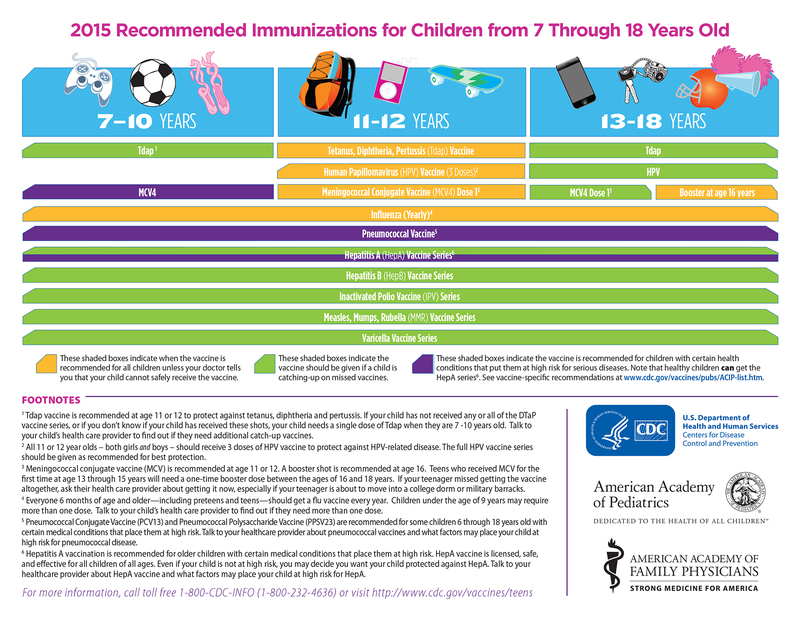 CDC provides a recommended immunization schedule for people ages 7 through 18 years for parents and doctors to follow to protect preteens and teens from vaccine-preventable disease. If your preteens or teens haven’t already gotten their vaccines, you should get them caught up as soon as possible. The Vaccines for Children (VFC) Program offers vaccines at no cost for eligible children through doctors enrolled in the program. Find out if your child qualifies. Getting every recommended dose of each vaccine provides children with the best protection possible. If a child misses a shot, it can be difficult to figure out the best way to catch up. To help, CDC and colleagues at Georgia Tech have developed the Catch-Up Immunization Scheduler, an online tool that shows parents and healthcare providers the best options for getting children 6 years of age and younger back on schedule. Or, parents and healthcare providers can use the Adolescent Immunization Scheduler to determine what vaccines are needed for children 7 through 18 years of age.